LACONIA — Men of Battery C (of the 744th Anti Aircraft Artillery Battalion, 197th AAA Group) and of the 281st Army Band, both of Laconia, were undergoing two weeks' annual training at Camp Wellfleet on Cape Cod, 50 years ago this week. 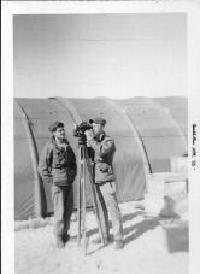 The big story at the encampment, according to The Citizen in 1958, "was the speed in which the Granite State's Guardsmen had their new M-33 acquisition and tracking radar system in operation. The great majority of the group had not even seen this new intricate equipment before they had come to camp." The M-33 "is designed to cope with modernized aircraft and missiles." The units "were given classes on the systems on Sunday. By Tuesday morning they had been all set up and completely test-fired — an accomplishment which the Regular Army advisors did not expect to be achieved until late this week." Adding much to the morale of the troops "is the stirring music of the 281st Army Band, NH ARNG. It is led by CWO Ray L. Ladieu of Laconia." The "fine music of the 281st greets the N.H. Guardsmen as they wake up in the morning. In addition to playing at reveille and at other routine camp functions, the Laconia bandsmen presented a special concert Tuesday night at the Service club. It will also give a concert ... on 'Visitors' Day.'"